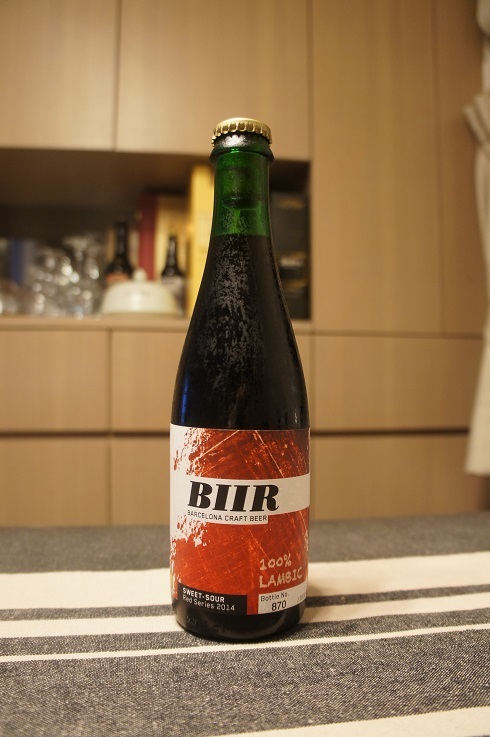 Brewer Description: (from bottle) BIIR Sour Sweet is a 100% lambic beer, aged 12, 18, 24 and 36 months in French oak barrels. It has 450gr/l of whole cherries and raspberries, without added sugar. Blended by Gunther Bensch (Montaigu), the maker of Triple Gueuze. 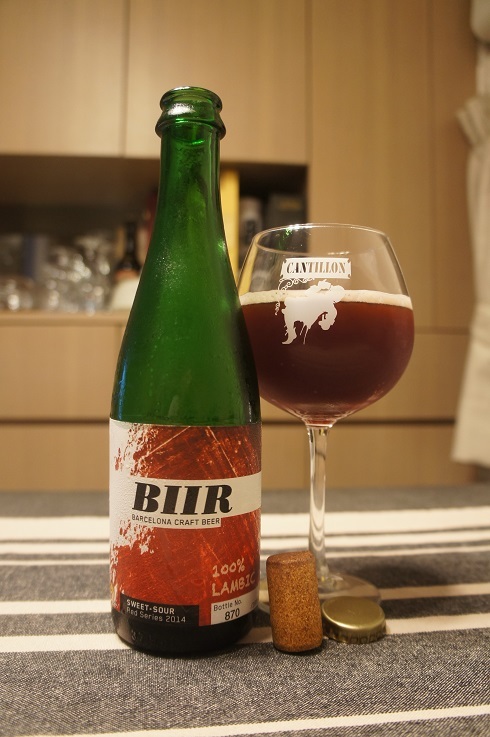 Lambic beer is a traditional Belgian style beer with a combination of red fruits to get an unique and balanced sour and a sweet taste. It is made exclusively in the Zenne Valley. Intro: A 375ml corked and capped bottle, bottle no. 870/3800, with a best before date of June 2017. Poured into a Cantillon ballon glass. Appearance: A nice clear dark ruby red colour with a thin soapy pinkish head that dissipates quickly while leaving some lacing. Aroma: Sweet and sour red berry fruit with cherries and raspberries leading the way. This is followed by blackcurrants and oak with hints of vinegar and funk. Taste: Lightly sweet and lightly sour cherry, raspberry and oak with a hint of red wine. Overall: It’s more sweet than sour which is not my preference, but it is still an interesting and very nice Fruit Lambic.